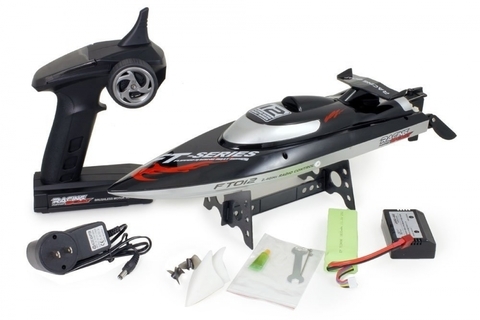 • Equipped with 35A super power two-way Electronic speed controller,2815-35000 KV brushless motor and 1800Mah 25c lithium polymer battery,FT012 is super power and flexible fast, top speed can reach 45 km/h. 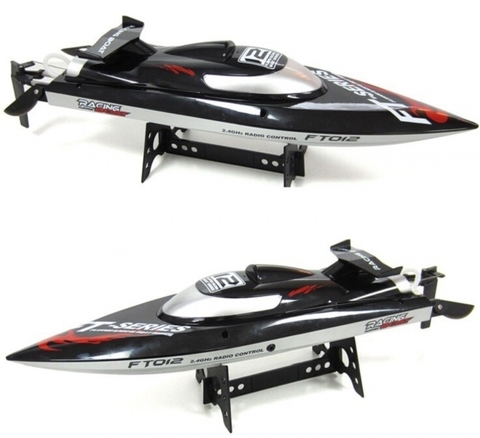 • Flip over automatically and quickly when the boat is capsized, easy to operate. 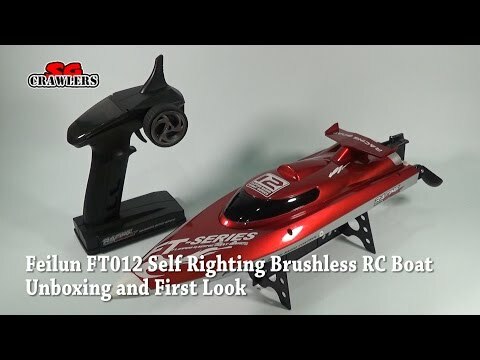 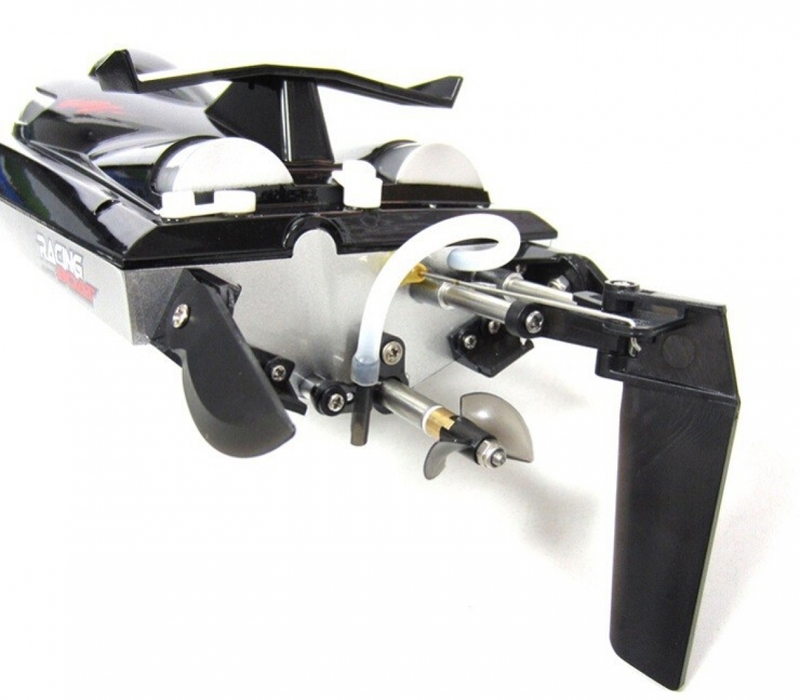 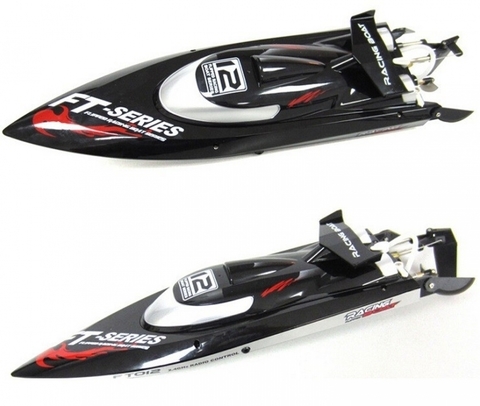 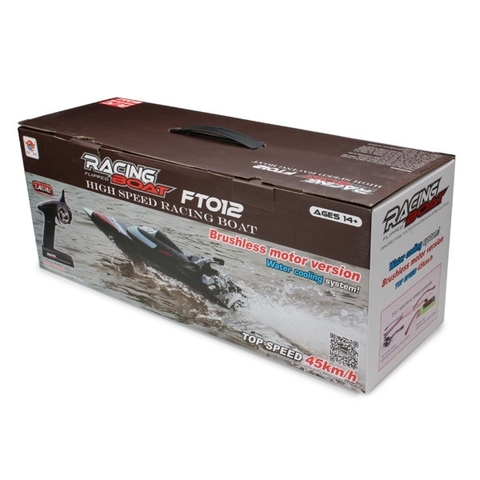 • With water-cooling system motor and electronic speed controller, excellent cooling down performance,make the boat more stable in a longer time racing. 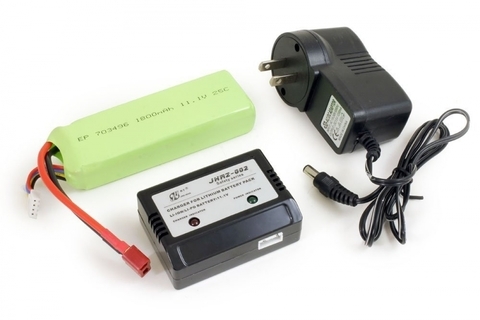 • Highly cost-effective 3 in 1 Electronic Speed Controller, with 2.4G receiver,electron speed regulator and servo controller. • Electronic Speed Control system has been designed with protection to avoid damage from overcurrent,overvoltage,Low voltage,motor blocked,etc.